ROME (Reuters) - Italy's government stuck by its economic forecasts on Thursday, dismissing more pessimistic ones from the European Commission as a row over the country's expansionary 2019 budget rumbled on. Prime Minister Giuseppe Conte said the Commission's forecasts underestimated the positive impact on economic growth of the budget and of structural reforms that Rome is enacting. "There are no grounds for questioning the soundness and the sustainability of our reforms," he said in a statement. "For this reason we consider any other type of scenario for Italy's public accounts to be absolutely implausible." The Commission rejected the fiscal plan for 2019 last month, saying it flouted a previous commitment to lower the deficit and did not guarantee a reduction in the country's debt, already the second highest in the euro zone as a proportion of GDP. If Italy does not budge, the Commission could launch an "excessive deficit procedure" that could eventually result in fines, though these have never been levied on any country in the monetary union. 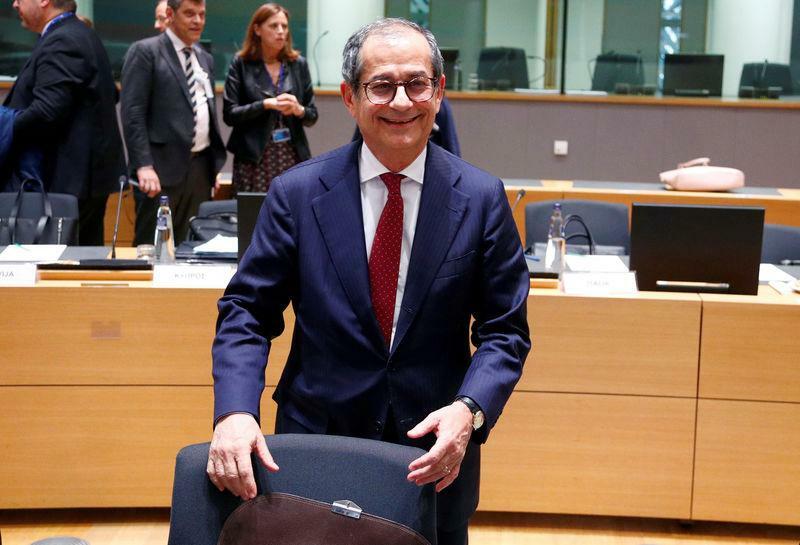 "The European Commission's forecasts for the Italian deficit are in sharp contrast to those of the Italian government and derive from an inaccurate and incomplete analysis (of the budget)," said Economy Minister Giovanni Tria. "We regret to note this technical slip on the part of the Commission, which will not influence the continuation of constructive dialogue with (it)." The Commission forecasts underline the view in Brussels, backed last Monday by all euro zone finance ministers, that Italy's 2019 budget breaks European Union fiscal rules, which call for annual reductions in deficit and debt. "Italy is not in any way a problem (for the EU)... but instead it will contribute to the growth of the whole continent," Conte said, adding he was looking forward to positive discussions. Among planned reforms he cited an overhaul of public job centres, simplified rules on public tenders and a boost to public investments.